This six-day Cleveland Way National Trail break visits the ancient city of York, the haunted town of Whitby and the dramatic North York Moors. You’ll hike ‘The Yorkshire Matterhorn’, travel by train across England’s finest National Park, explore the famous Whitby Abbey and eat fish & chips by the sea. Walking the entire 175km/109-mile length of the Cleveland Way is a challenge. For adventurous hikers, it’s a long journey on rugged coastal and moorland trails that requires nine days of walking. So we’ve put together a condensed six-day itinerary that explores some of the main highlights. 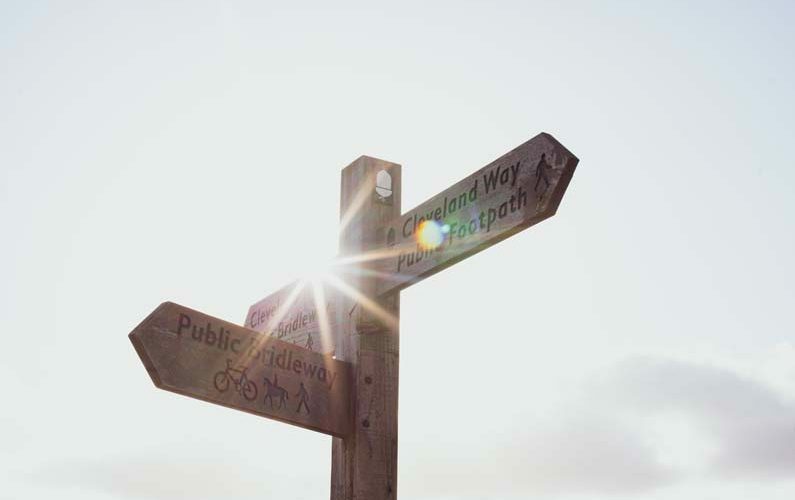 It covers a total of 35km/22 miles on foot and visits some of the most historic and spectacular locations on the Cleveland Way National Trail route. The trip starts with two days in York, where you’ll take a spooky ghost tour, walk the ancient city walls, visit the Jorvik Viking Centre and marvel at York Minster. From York you’ll travel on a scenic bus route across the North York Moors to the seaside town of Whitby, famous for its beautiful harbour and as the birthplace of Dracula. 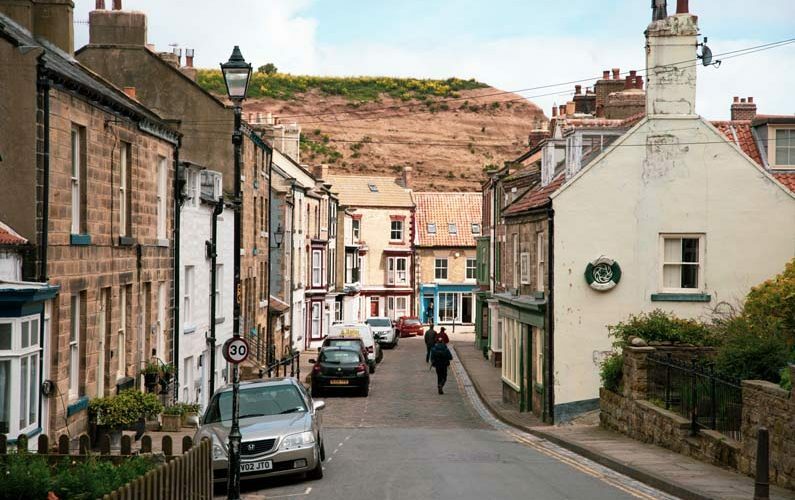 The final three days explore some of Britain’s best coastal walks around the fishing village of Robin Hood’s Bay, the iconic peak of Roseberry Topping, and the sweeping sands of Runswick Bay. This itinerary breaks down the six-day trip into daily sections. 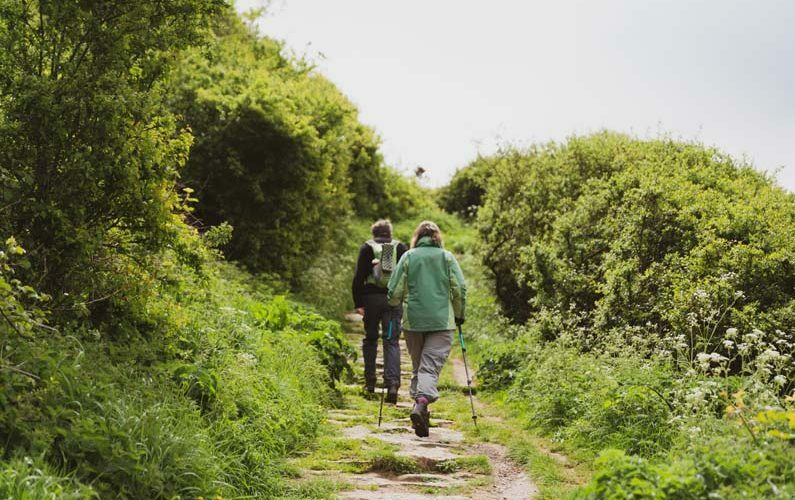 The first three days are spent exploring the city of York and the town of Whitby, and the final three days involve more challenging walks on hilly and coastal trails totalling 35km/22 miles of hiking. Arrive in the historic city of York, the birthplace of Guy Fawkes and one of the finest heritage cities in England. 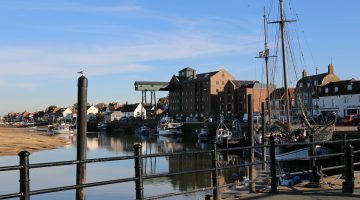 You’ll have plenty of time to stroll around the city and enjoy an early-evening meal in one of the many traditional pubs, bars, cafes or restaurants. Then take part in a ghost tour in one of Britain’s most haunted cities. With its Roman roots and Viking past, York is a city packed with history, offering endless options for visitors to explore. Begin the day with a walk around the ancient city walls, then uncover the city’s Roman foundations at the Yorkshire Museum. The famous Jorvik Centre brings alive the sounds and smells of York’s Viking age, majestic York Minster is northern Europe’s largest medieval cathedral, and the narrow-cobbled street of the Shambles is full of fascinating shops, cafes and restaurants. The day starts with a 10.23am ride on board the Coastliner bus to Whitby, where you can look out for the distinctive landscape of the Hole of Horcum and take in the first glimpse of the stunning sea views on the most scenic bus ride in Britain. You’ll arrive in Whitby at lunchtime, giving you an afternoon to explore its traditional streets and shops. You can take boat trips in the harbour, go rock-pooling on the beach at low tide, visit the Whitby Museum or Captain Cook Museum, and climb the famous 199 steps to Whitby Abbey. York and Whitby have plenty of accommodation options, ranging from hotels and B&Bs to self-catering cottages and traditional pubs. The Visit York website www.visityork.org/book is a good place to start looking for days one and two, while the Discover Yorkshire Coast website www.discoveryorkshirecoast.com/where-to-stay has plenty of great suggestions around Whitby. Hull is the nearest port for European ferry services, just a one-hour drive from York. Located just 20 minutes from the M1/M62 motorway network, York is an easy city to reach by car, with six Park & Ride sites making parking and travelling into the city easier. York is easily accessible by train in around two hours from London, Edinburgh and Manchester. With a busy city and one of Yorkshire’s biggest coastal towns as a base, accommodation is readily available but York and Whitby are both popular with tourists all-year round so book early to avoid gaps in your itinerary. The coastal walks and the ascent of Roseberry Topping can be done at any time of year but be warned: it gets very cold on the Yorkshire coast in the winter months! Spring is the best time to visit, with warmer temperatures and the sea cliffs are alive with thousands of nesting seabirds. 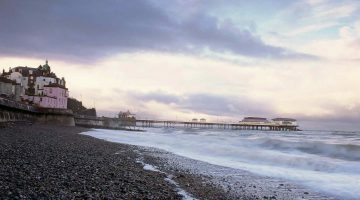 This itinerary is comfortably within the capabilities of all experienced walkers with good levels of fitness. York and Whitby are perfect for lovers of good food and beer. 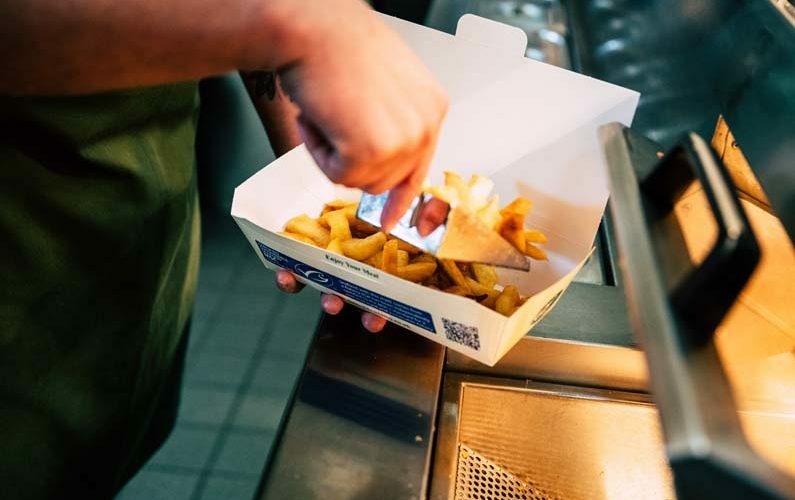 Fish and chips is a must on one of your trips to the coast and the street food scene at the Shambles Market and Food Court in York is excellent. Whitby is full of good pubs and restaurants serving everything from seafood and stews to pie and mash, plus the popular Botham’s of Whitby on Skinner Street that manages to combine French-style patisserie and traditional Yorkshire bakery! Beer is a big deal in these parts too, with a bewilderingly large range of local ales. Try the great local beers from Whitby Brewery from their Taproom right by the Cleveland Way.